There are many a wine app for iOS and (growing) on Android. Wine+Tech wünderkinds VinTank, have done extensive research on iOS apps (iPhone) over the last few years with the most recent count at 450+, as of 04/14/2011. Indeed, my own content is distributed on two mobile apps, Hello Vino and Wine by the Bar. With that many apps out there for a very specific genre, you can imagine that there is a lot of noise and a lot of well, mediocre (at best) apps for wine. So, it is a refreshingly rare circumstance when one comes across an app that kicks some serious vinous booty. And the new app (iPhone, Android) from Ferrari-Carano Vineyards and Winery (Twitter, WineLog) by MacroView Labs (Twitter) gets my vote for kickin’ that booty. It’s not every day that we as wine lovers get to stumble upon a truly good show about wine. I’m not talking about something that involves some guy dressed in tails and swishing aged, thin wine in his mouth and spitting…no, I’m talking about three renegades digging deep around the world to find new wines to grow, to sell and to chug by the bottle: Three Thieves (Twitter) aren’t here to mess around. Already known around the wine biz as the triumvirate to buck any stodgy trend with their affordable and tasty jug wine, Bandit Tetra Pak wines for that on the go tipple among many other fun and innovative wine brands, the guys have fully branched out with their first tv gig, Three Thieves now on The Cooking Channel. I managed to hunt down thief Charles Bieler (Twitter) to chat about his Cooking Channel adventures with his fellow vino amigos, Joel Gott (Twitter, WineLog) and Roger Scommegna. So a mad apology is needed from myself to my tireless vinopanion known as David Cole, AKA @ColeDavid. I first started this interview NYE of this (last?) year and it is now finally seeing the light of the interwebs. Thank you for your patience David, here it is in the pixels! Actually, this interview coincides quite nicely with some exciting news from David’s joint family winery, James David Cellars. They are launching a new website, have just put out some new wines and are of course, currently tackling the very challenging 2010 harvest from their home base in Paso Robles. Following the interview, I’ve listed all of the tasty wines from David’s wine labels mentioned below that I’ve had the fortune to taste over the years. Onward! Another exciting wine festival is coming to Fort Mason this month and I’m very excited to have to have the opportunity to get the inside scoop from the festival Director. 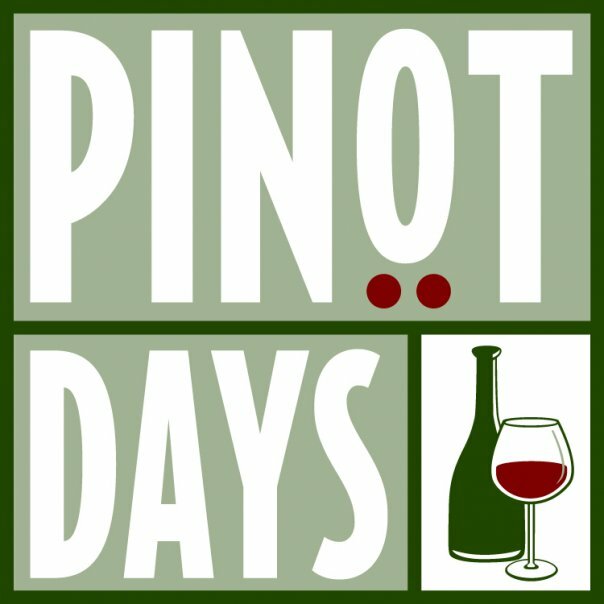 Pinot Days San Francisco crushes SF with five days of great, varietally-correct Pinot Noir festivities, starting on June 24th. Lisa Rigisich, together with husband Steve and partners Eric and Teri White are bringing over 200 Pinot Noir producer and vendors of the delicate grape to Fort Mason in San Francisco on Sunday June 28th for the finale Grand Festival Public Tasting, where I will be delighted with the outstanding array of tasty Pinot available to taste! While bouncing around Twitter one day, I was turned on to a new-fangled wine search engine site by the incomparable Lisa Adams Walter (Twitter). She directed me to GoBYO (Twitter), a wine search engine that might revolutionize the Bring Your Own Bottle searches in your local restaurants, taking out the calling and questions surrounding the corkage policy at restaurants around the country. It is a very user-friendly website that is already exhaustively detailed about wine, corkage and restaurant information in now, 10 metro areas in the US. Devon Segel (Twitter), along with her family and the DiningInfo team launched this effort two years ago and it is continuing to build up at a rapid pace. Now let’s continue the 5 Questions series and learn a bit more about Devon and GoBYO! 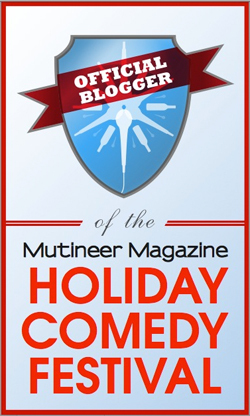 We’re going to be making many new changes and additions here at WineLog.net this year. One of these is a new series of interviews for our blog called “5 Questions With…” The inaugural interview is with the brilliant young documentarian, Rudolf (Rudy) McClain (Twitter), who recently released a real-world, global response to the backlash seen against Merlot following the release of the quirky, blockbuster 2004 film Sideways, based on the novel by Rex Pickett. Merlove is a documentary about a world’s love of a grape in the wake of a fictitious (and ironic) slandering, a discovery of a love wine and an understanding of the nuances of terroir. Dawn broke for our third day (9/21/11) in the Kingdom of Navarra (Twitter, Facebook) with brilliant signs pointing to even more glorious weather to accompany our travels around this Spanish wine kingdom. From the window of my hotel room at the historic Palacio Guandelain in Pamplona, I could see and hear the rumblings of the (rare) early rising Navarrans in the plaza that stretched out from the hotel front. 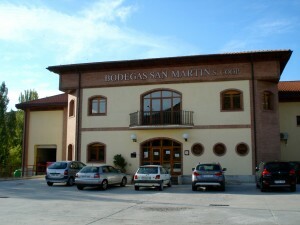 I couldn’t wait to get started on our travels back to the Ribera Alta sub-region of the Navarra DO appellation. I felt rather rested, since I had given my body the morning off from my usual run, following my great success at getting thoroughly lost, the prior morning.